My 1965 Ranchero has served me well for the past 21 years. It has taken us out of state several times, the longest distance being to Dallas Texas a couple of times, but time has taken it’s toll on the engine. The engine still ran well but would puff a little smoke when started and was getting noisy especially when idling with the engine hot. 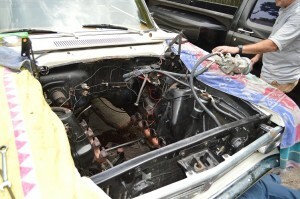 I had thought about changing or refreshing the engine for a couple of years. I originally took a gamble and bought a used engine which didn’t work out and let the Ranchero sit for about a year. 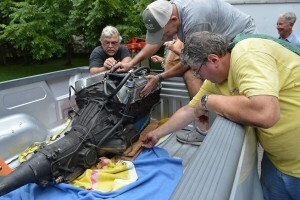 Bruce Stewart, our local chapter’s president, had approached me two or three times about rebuilding the current engine. 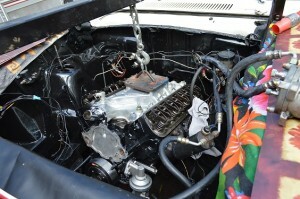 The original engine was changed before I got the vehicle. 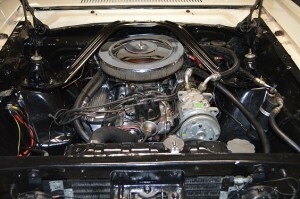 The original V/8 three speed was replaced with a 66 model with a C4 transmission. 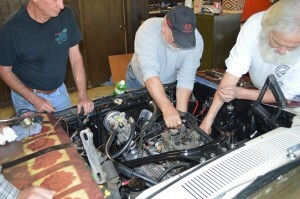 Bruce suggested that he get some of the guys in the club together and come to my house and pull the engine for a rebuild. How could I turn down that offer? One Saturday morning Bruce along with Phil Baxter, Larry Fleeman, Larry Simpson, and Craig Wood showed up and the engine was out by lunchtime. 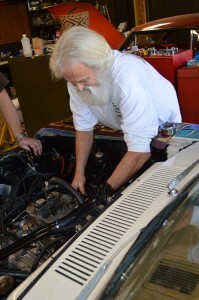 Bruce along with Phil’s help reworked the engine and I helped them reinstall it. 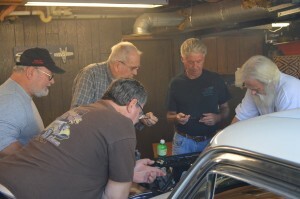 Bruce, Phil, Bruce Johnson, Richard (Bruce’s friend), and Bruce’s grandson returned for the tuning and tweaking. The mission was accomplished in grand style and I am forever grateful for all the help. This old guy, just turned 80 could never have made it by myself. Thanks, thanks, thanks.